From February 1870 until April 1909 the city law officers in town were called the Marshall and the Deputy Marshall. Then on April 12th 1909 the department was officially organized into the present day police department. The 1909 five-man department has grown into the forty-nine officers of today, not including civilian employees. Since 1870 there have been approximately 275 police officers that have served the citizens of Mason City. When the 1920's arrived, the department was using automobiles, paddy wagons and motorcycles to answer calls. The department continued to use patrolmen on foot patrol and used a system of red lights located at various intersections. When a citizen called or there was a need for an officer to respond to a situation, the desk sergeant would turn the light on and the officer would know to phone the station for his call. In 1927, the department went to working three eight hour shifts and also implemented the Records and Identification Bureau. This new bureau implemented a new record keeping system that documented all calls for service and also documented our arrests with mug shots and fingerprints. In July of 1941 the police department got its first radio. KQAE was on the air and for the first time squad cars on the street could communicate back and forth with the desk sergeant. This enabled a quicker response in answering calls by the police since the officer in the car would not have to find a phone to call the station. The use of the red light system and police call boxes was continued for the foot patrol officers as there were no hand held radios yet. During World War II the police department had several officers called to duty and the city hired men to supplement the force. The new officers were called special policemen and they worked until 1946 at which time the regular officers were discharged from the service and they returned back to patrol. 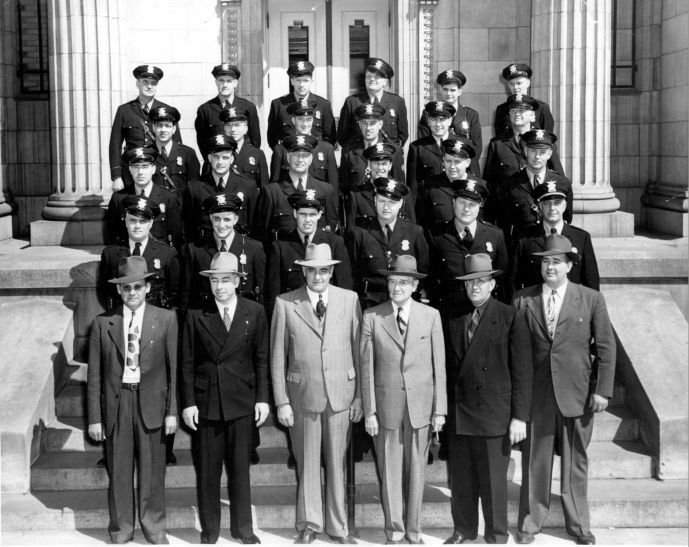 When the war ended the police department hired an additional ten men to bring the post-war department strength up to 27 officers. 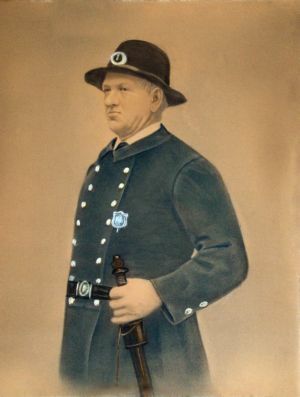 The 1960's saw the first use of portable hand held radios for foot patrol, and the city discontinued the use of the police call box and red light system. In 1962, the city hired its first meter maids. The use of the meter maids freed up patrolman who were assigned to parking meter duties. In the years that followed, the department hired civilian dispatchers to replace the desk sergeants. All these changes increased the number of officer's on the street and made them more efficient. Now one hundred years after the police department was organized, the officers have Ford Police Interceptors instead of horses; they have in-car laptop computers with GPS in place of the red light system, and have Sig Sauer semi-automatic pistols instead of the Colt Detective Special revolvers. However, the one thing that hasn't changed in a hundred years is that the police department still comes when the public calls and we still have a strong sense of pride and tradition just like in 1909.